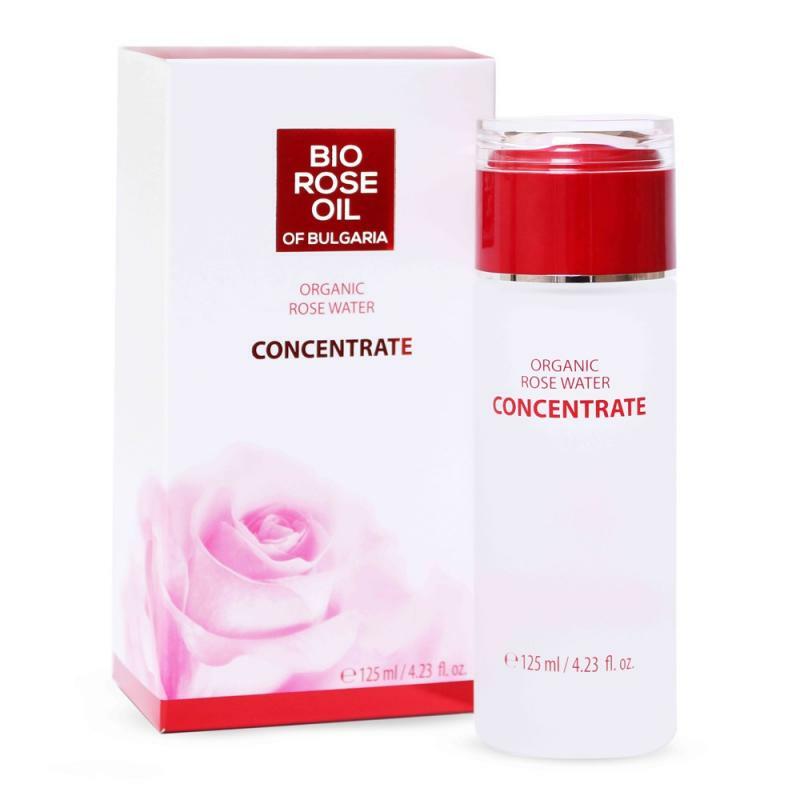 ORGANIC Rose water – perfect in the morning to awaken the vitality of the skin, and ideal in the evening to cleanse it and prepare it for sleep! It became an established cosmetic staple centuries ago owing to its moisturizing, regenerative and tonifying properties as well as to its delicate floral fragrance. It regulates and balances the production of sebum which makes it equally suitable for both dry and greasy skin. It stimulates the regeneration of epidermis in the case of sun burns, maintains the water balance, soothes, tones and scents. HOW TO USE: Spray or rub it in with the help of a cottonwool pad mornings and evenings before going to bed. Wait for 2-3 minutes for the skin to absorb it on its own.